* adopts a learner centred approach suitable for classroom as well as self-study use. * has clearly labelled sections which allow users to select and focus on the skills areas most appropriate to their needs. 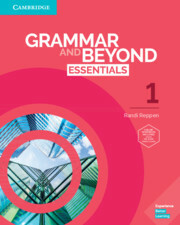 * includes authentic texts from textbooks, journals, reference works and study guides currently used in universities, colleges, and other institutions of higher learning. 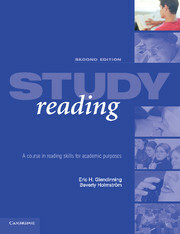 * encourages students to refine their reading strategies through a variety of task-based and problem-solving activities. * gives direct advice on how to improve reading efficiency.